It’s been some time since we’ve stepped in Master Chief’s MJOLNIR boots. When we last left the SPARTAN hero, he was adrift in space, locked in stasis awaiting rescue. Rescue has come in the form of 343 Industries. Microsoft’s in-house studio has taken the banner passed down to them from renowned developer, Bungie. Is it time for Master Chief to be thawed out, or should he have stayed in a deep slumber? 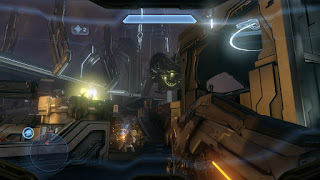 Released in November 2012 and taking place on a Forerunner planet, Master Chief must combat a brutal new enemy in the form of the Prometheans, Forerunner constructs. Adding to his troubles are a radical splinter group of the Covenant who refuse to honor the peace treaty brokered at the end of Halo 3. And if things couldn’t get any worse for the Chief, his digital companion, Cortana, is reaching the end of her life cycle. This process involves Cortana slowly going crazier and crazier and will eventually end in her “thinking herself to death”. This connection with Cortana is what forms the heart of Halo 4’s story. 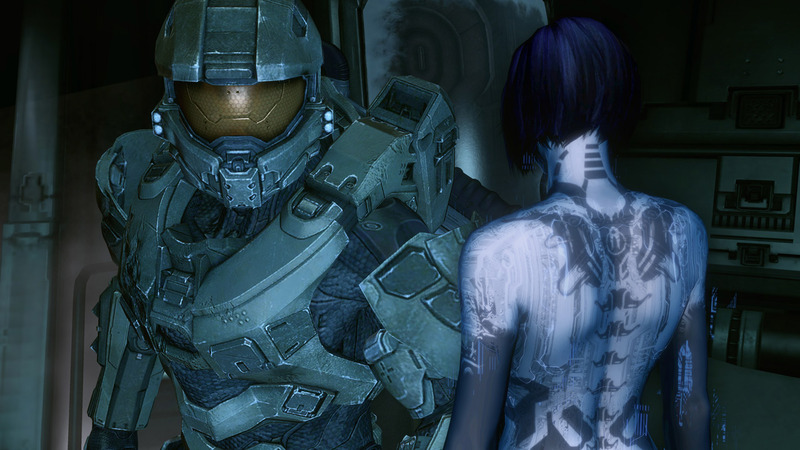 Cortana has been the one constant companion to the Chief throughout this entire series. This is the first time that he risks losing her without a way to save her. It plays out in a bizarre form of role reversal, where Cortana displays more emotion than the Chief himself as she faces death. It’s touching and the most human we've seen either character in their 11 year relationship. Halo 4’s character development isn't the only beautiful thing. The visuals are breathtaking from start to finish. Pushing the aging hardware of the Xbox 360 to its fullest potential, Halo 4 is drop dead gorgeous. Master Chief and the new SPARTAN-IVs are incredibly detailed and feature a sleek, organic new armor design. The Covenant have undergone a visual update as well. The once iconic purples and greens have been muted and this is a new, darker, and more savage Covenant the Chief faces. Along with the new Promethean enemies come their armaments for the Chief to use. The weapons themselves are like extensions of the cybernetic new enemies. The weapons will disassemble and reassemble themselves in the Chief’s hands as he equips and reloads them. It’s a slick effect that never gets old, unlike the Prometheans themselves. This new enemy tests patience like the Covenant never have. They will shield one another, attack when the opportunity is best, and run and hide to recharge their own shields. Couple this with the limited ammo and weapons to be found and the Chief is going to have his hands full. To help get players back into shape and keep them there, multiplayer has been molded into the Infinity’s simulator. Here, players can engage in the standard death matches and other multiplayer modes, sans a traditional free-for-all. Another odd missing part is the firefight game mode. For the first time in the Halo series, players can equip a custom load out and edit as they see fit. The trouble is that the weapons are limited to the assault rifles for the primary weapon and pistols for the secondary. Weapons like the shotgun and sniper rifle must still be contested for in-game. It’s a half effort to offer players the customization found in other games. In addition to the multiplayer matches, players can partake in the weekly content updates called Spartan Ops. Each week, a new episode will be released which contains five new missions. These missions tell more of the story on board the UNSC Infinity while Master Chief tackles the main threat in the campaign. Each chapter is prefaced by a full-fledged CGI sequences which fleshes out more of the story. It’s a great addition that only adds life to this wonderful series. 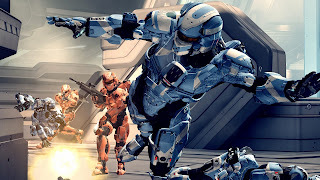 Where Bungie had passed the torch with Halo: Reach, 343 Industries made a brilliant follow-up with Halo 4. There are a few odd pieces with the missing game modes, but overall it only strengthens the series.